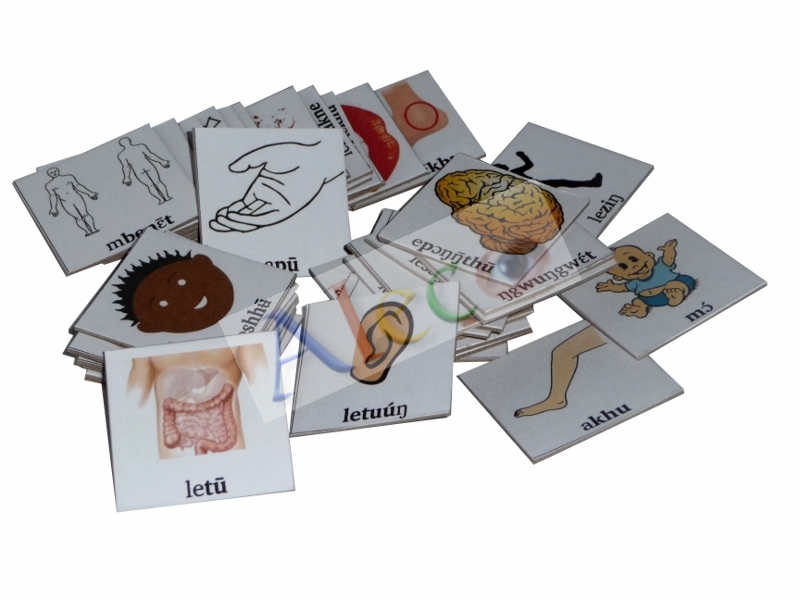 Educational cards and accessories for indentifying common parts of the human anatomy in Yemba as well as health state and body activities, etc. 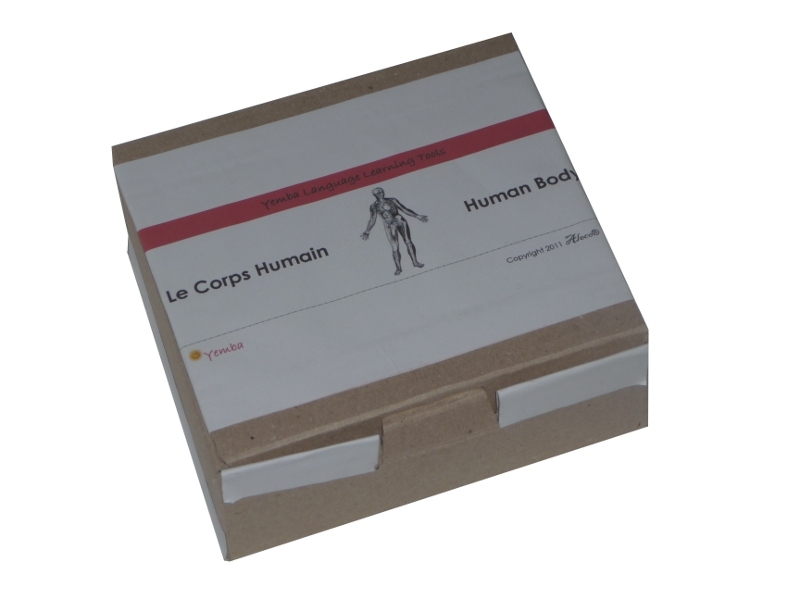 Accessory carton for packing 48 learning cards with names for parts of the human body, as well as description of some body activities and health state, etc. The package is ideal for protecting the cards, extending their lifetime. 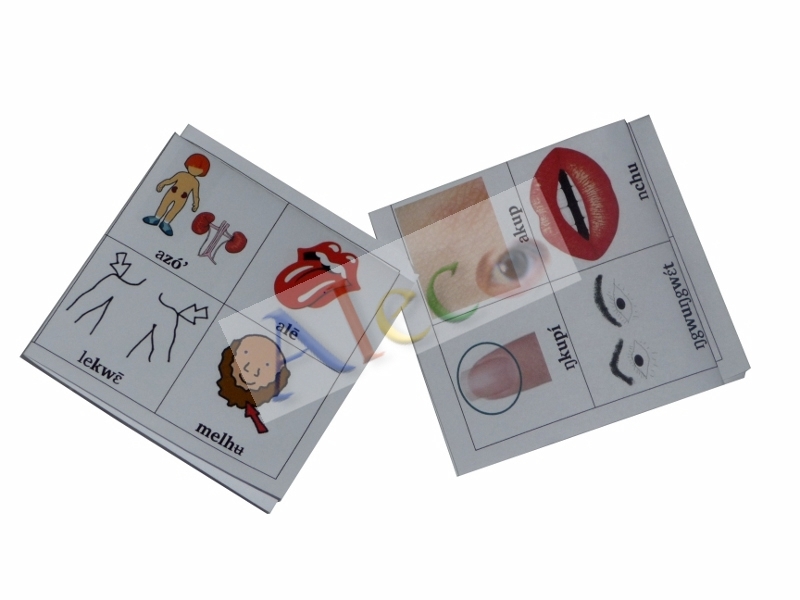 User manual for 48 learning cards with names for parts of the human body, as well as description of some body activities and health state, etc. Example of illustrative sentences, synonyms, exercises, etc.